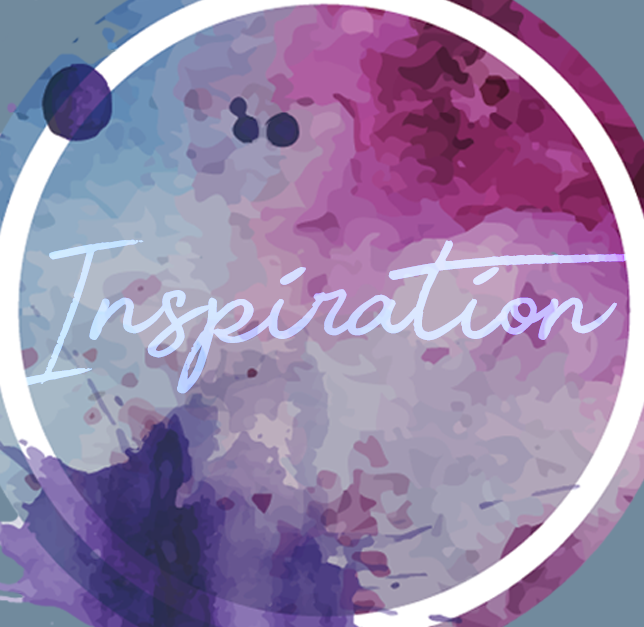 Do you know this feeling: You are coming home from RL job, want to relax and make a blog post with a very beautiful decoration ? Then immediately you think while arranging everything, my goodness is SL slowly today. And everything I pushed in one direction comes back. Then you want to talk to friends and you think strange they are not answering. After checking all technical issues on my site, I wanted to call the provider but hey I remember that is not possible. Then I wanted to call the provider via mobile phone …. but … my goodness … I forgot I am living at the end of the world in the 18th century. The mobile connection at my home place is so bad and poor I couldnt call them or even look via mobile internet if there is an outage. I put on my jacket and shoes – don’t laugh 😀 – hahah – and went outside – from our house to the street – only a few meters and looked on my mobile if the sign for it appears….yes at the gate to the street. I checked the providers site and they have an information written there, we have a technical problem at our village for telephone, internet and television and they think – THINK – it will be repaired on February, 13th at 1 AM !!!! I was like ….oh noooo…. When we said what we are going to do the mobiles beeped via WLAN and we got messages – internet was back! 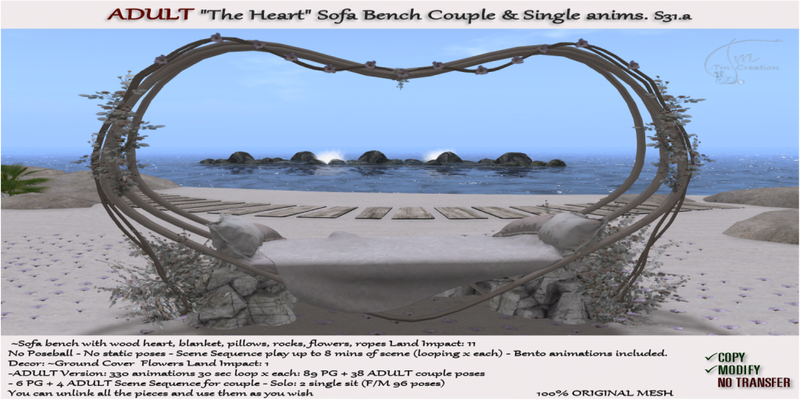 This beautiful bench is made by TM Creations and currently available at Sanarae until February 17th , 12 am SLT. During the event this amazing creation is 10% discounted. 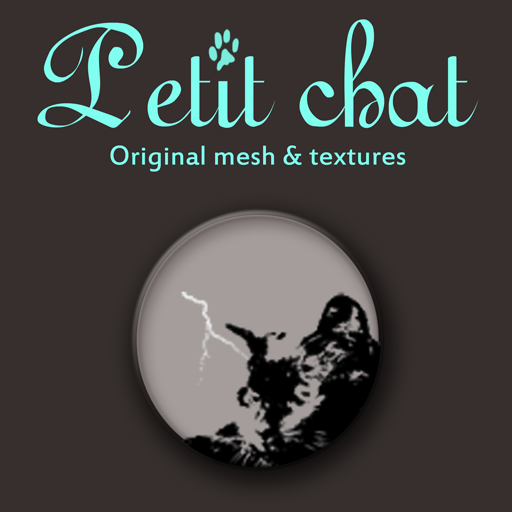 No Poseball – No static poses – Scene Sequence play up to 8 mins of scene (looping x each) – Bento animations included. I integrated this bench at my home, so all other plants and landscaping around are not included. Just saying. I know this so well! We live in a small rural village in the Channel Islands and the bandwidth is about the width of a small rubber band *laughs*, especially when all the kids on the village are on their computers (and half the adults too, so we can’t really blame the kids). A booster system has improved bandwidth somewhat… to about the size of cambelt… so we shouldn’t be complaining, according to BT. Beautiful picture, Sannita!